This essay is the third of the three part series that attempts to demonstrate how the global dialectic of convergence and divergence is playing out in the Korean American church, particularly in regards to its communal vision. This essay concludes the series by arguing that the Korean American church operating in covenant as a diaspora community can function as a spiritual laboratory that demonstrates e plubris unum (out of many, one) via greater civic participation. In order to accomplish this task, a brief recap of the first two essays is presented first. Then, how covenant promotes civic participation via reciprocal communication particularly in a minority community like that of Korean Americans is described, along with its theo-ethical significance. Lastly, how this promotion process can happen practically is theorized primarily via prevention of transfer growth and cooperative evangelism. The first essay argued for a full-fledged and intentional intergenerational ministry, as the currently popular convergence of leadership in bilingual senior pastors is not enough to respond to the dialectic of global divergence observed in intrachurch relationships. While such practice is helpful for intergenerational unity, it is not enough. It does not sufficiently meet the global dialectic affecting the two generations. The paradoxical dialectic of global convergence and divergence create a need for the Korean American church to be different and same simultaneously; a full-fledged intergenerational ministry is warranted. The second essay explored the glocal locale of the Korean American church and defined covenant as an appropriate paradigm for interchurch relationships. The second essay has depicted how the Korean American church is fulfilling the global side of it glocal locale via world missions, but not the local side via interchurch unity. Consequently, the Korean American church is failing to appropriately navigate three levels of global dialectic: the church level theo-ministerial convergence in mission effort in Korea, the state level economic convergence between the United States and Korea, and the individual level sociocultural convergence as well as divergence via immigration. No singular church can accomplish such task, and the ongoing efforts of interchurch unity is superficial and fragmented; an intentional, continuous and inclusive interchurch ministry is necessary. As the Christian idea of covenant assumes intergenerational and intercultural human interdependence, it seems promising for the plight of the Korean American church above described. Since a definition of covenant has been given previously, a theo-ethical significance of covenant is presented here before exploring how covenant can work in the Korean American context specifically. Consequently, covenant creates reciprocity within a context by enabling reciprocal communication that: a) grants the minority adequate agency, and b) allows the majority to cooperate sufficiently while maintaining a certain level of authority. Such communication gives fair opportunity of all parties to represent its agency, and work together for a common good. Hence, it is ethically appropriate especially in places like the United States where various minority diasporas are struggling to simultaneously edify their unique identities and gain voice in the general society still dominated by the mainstream culture – an intergenerational and intercultural phenomenon. Theologically, Elazar argues that the response that God desires from the covenanted is genuine hearkening rather than single-minded obedience: “The act of hearkening is an act of hearing, considering, agreeing, and then acting. It is a human sign of freedom, of free will, where by in order to act human we must consciously decide to do so, even in response to God.” In other words, covenant holds individuality, while holding the fabric of holistic social unity; genuine and mutually-edifying communication is possible between parties of different statures. Ethicist Hak Joon Lee agrees, “rational discourse is necessary in the covenanting process…[which] is essentially reciprocal and bilateral, and thus communicative, in nature.” Even within the Confucian culture of parents wishing reciprocation of Korean cultures in their Americanized children, a genuine response to parenting is wanted, as such response would better ensure the longevity and truthfulness of the continued cultural values even after deaths of the parents. In this way, covenant understands individuality of the inferior in the context of his or her relationship with the superior. In fact, covenant in the Bible provides a paradigm that postulates the superior as the primary mentoring force of the inferior, as they work together for a common good or mutual benefit; parents remain in charge, though they are trading off a strictly authoritarian power for interdependence sensitive to the cultural and generational needs of Confucianism. Therefore, the benefits of covenant need not be limited at the individual level, but can be applied to relationships between groups of people. Covenant hence works as a bridging framework that occupies the in-between space within the intercultural within the Korean American church, and intergenerational dynamic within individual local congregations. Moreover, e plubris unum is possible, as such intercultural and intergenerational interdependence assumed by covenant goes beyond the walls of an ethic group. The Latin phrase, which had been unrelatedly used as early as by St. Augustine, originally was placed on the seal of the United States to declare that a single nation is to rise out of many states as America was preparing for its full independence from the British Empire. Yet more recently, the phrase has been interpreted as fitting for the racially complex and culturally diverse American society, gracing the sides of newer penny and quarter as well as the back of the dollar since 1935. Therefore, e plubris unum may be an adept motto of the current United States, which has long been considered the world’s melting pot, giving opportunities for immigrant communities to build new lives inside and out. Covenant, with all its intergenerational and intercultural capabilities and ethical connotations for diverse relationships, would be a proper framework. Yet how does this movement off inner edification and outer extension of covenant for the Korean American church work? What does the process look like? Certainly, the church’s context as a diaspora community provides a sustainable environment for covenant as highlighted above. Judging from the current makeup of the Korean American church across the country however, I believe that this covenantal work best begins with a few particularly influential churches: Young Nak Presbyterian, Oriental Mission, New Life Vision, Berendo Baptist, Glory of Jesus Christ, Sarang Community, Grace Ministries International, All Nations, Bethel Korean, Community Church of Seattle, Binneri Presbyterian, Promise (NY), New Jersey Chodae, Pilgrim New Jersey, Queens Presbyterian, Washington Central Presbyterian, etc. This list is not exhaustive, but represents geographical as well as denominational spectrums. These churches are better resourced in financial and social capital to invest into creating a circle of covenantal relationships with other churches in their local areas; they simply have more money in the bank, more human power in membership, and more cultural influence due to their brand name or reputation. In short, these churches have the capacity to not only mobilize themselves better than smaller congregations which are often struggling to pay rent and organizationally stay afloat, but they also have a more realistic chance to gain attention in whatever movement they may be beginning. Similarly, Biblical covenants are certainly made between parties of varying powers, but are mostly initiated by one with greater authority. The ensuing local circles of covenant would connect with each other via periodic worship of all ages, exchanging of pastoral and ministerial knowledge, and mutual encouragement. First, these churches must be committed to preventing transfer growth, which has been plucking members from small to medium churches and contributing to the current trend of enlarging “brand name” churches. Not that brand name churches are necessarily theologically problematic, but transfer growth rises out of consumeristic Christianity that demands churches to pay adequate services for tithes paid. This means that people often leave smaller local bodies which cannot provide age specific education programs, offer parenting classes, invite famous preachers as guest speakers, and/or do not have convenient and large enough of building that can host worship services and other events at a certain level of fancy. Naturally, these people – some enticed by friends who belong to other churches and some leaving on their own terms – transfer to larger local bodies which can provide all of the mentioned above. To be clear, this paper focuses on the relationships between small and large congregations within the context of such transfers, though it acknowledges that individuals do have a right to make choices in church membership. Still, I consider convincing members to transfer from one church to another for no legitimate reason – physical safety and spiritual oppression perhaps – “sheep stealing,” and stand against such practice. Jesus has given pastoral calls to many on this earth, and such practice creates a dog-eat-dog competition rather than a cooperative environment between people of God. Israelite practices of kinsman-redeemer and Jubilee also strengthen the voice to protect the assets of the marginalized and creation of a mutually beneficial culture. Individuals certainly have rights, but communities also have the duty to create an overall cooperative and mutually benefitting environment together appropriate for the kingdom of God, in which lions and calves live in harmony. Moreover, success at recruiting members from other churches curb a particular church’s desire for true evangelism, as the latter costs so much more time and heart compared to bringing persons who are already familiar with the Christian doctrines or way of living. This practice is not to be considered a simple matter, however, as it also has ties to human desire for comfort and outer measurements of defining successful church. This relationship between churches of different sizes can be labeled as contractual, and not covenantal. Transfer growth destroys small congregations that tend to be effective in proselytizing new believers as they are on fierce outreach mode. Transfer growth also fuels the fire of prosperity gospel of number growth in large churches, as they become lethargic due to unwarranted increase in membership and offering. As more members come in to a local body, its income increases, which enables it to provide educational and religious services that many prefer; more money also means more room for fights over properties, not to mention the quenching of the evangelism fire as described above. The result is a local church with a large membership with fancy worship and other services, along with potential for divisions over money, unlawful financial gain, and lack of sharing the Gospel with those who do not know God: a picture of a Wall Street fat cat. Of course not all large churches walk down this road, but this ecclesiological script should sound familiar to many Korean American Christians. In fact, a renowned Korean American pastor who leads one of the largest churches in the East Coast recently regretted publicly his ministry growing primarily via transfer growth, and pledged to start a movement against such growth. Furthermore, although most major Korean American denominations have bylaw instructions on member transfer, they are only kept nominally. The Korean American church must recognize that transfer growth is merely diving the pie of souls up in a way that the rich get richer. Naturally, cooperation in evangelism effort is necessary. The covenant that God made with the Church includes participation in sharing the salvific history until the ends of the earth. While the Korean American church generally continues to advance serious evangelism efforts at markets, schools, and other public spaces, these efforts are shallow contractual exchange of benefits: believe in Jesus to avoid going to hell. Instead, the Korean American church must evangelize in covenant paradigm, building meaningful and lasting relationships and with those who do not know Christ, in which believers and unbelievers can mutually care for each other as they strive for a common good. Of course, this movement must include prominent second generation only churches: Young Nak Celebration, Sovereign Grace, Ekko, Good News Chapel, Crossway, Open Door (VA), etc. Such encompassing yet intricate movement indeed takes intentional and full-fledged commitment from each church to work together. It also undoubtedly takes coordinated meeting times, financial resources, and strong yet humble leadership. More foundationally, it requires a covenantal heart of reconciliation that desires to see God’s Korean American community grow together over theological differences. Furthermore, this covenantal heart is to be applied to reaching out to the non-Korean local communities. Although the immigration numbers have been steadily decreasing, birthrate stagnating, and considerable number of young people leaving the church, the second generation is inching closer to becoming the majority within the Korean American community. The effort to create Korean American-centered, multi-ethnic and multicultural churches seems inevitable to ensure that the church survives and thrives. To be clear, this forecast does not mean that every local Korean American congregation must pursue growing its English speaking congregation. I believe that some churches are called to honor immigrant mothers and fathers. Yet, the overall picture of the Korean American church must be anchored on covenant, in its relationship within and with others. The second generation rising to the majority is not only a timely opportunity to minister with appropriate strength, but also a chance to edify relationship between the generations as they work together. Consequently, congregations can co-exist, generations are reconciled, and cultures are mutually edified: e plubris unum is realized. This series has proposed covenant, an intergenerational and intercultural Christian concept that is one of the primary threads of the scriptures. As God has made covenants with distinct individuals, family generations, exiled communities, and the entire humanity, covenant carries the potential to accomplish e plubris unum within and through a minority diaspora church of Korean Americans. Intentional, full-fledged, and covenantal intergenerational and interchurch ministry is warranted, as well as prevention of transfer growth and covenantal evangelism. May the Lord God remember God’s covenant with the church and grant appropriate favor. James Hyonroh Lee, “Lost in Translation: Silent Exodus and the Korean-American Church,” https://aatfweb.org/2014/10/31/lost-in-translation-silent-exodus-and-the-korean-american-church/. Citing intergenerational reconciliation and unity, I claim that “Congregation to congregation interaction is not likely” in essay 1. Though such interaction is indeed rare at this time, this essay argues that it is warranted, and speculates how it may take place. For a substantial and relevant definition of covenant, please see pages 6 and 7 of the essay 2. James Hyonroh Lee, “Glocality and Covenant: Korean American Interchurch Unity,” https://aatfweb.org/2015/02/03/lost-in-translation-silent-exodus-and-the-korean-american-church-part-ii/. Naftali Rothenberg, “Three Forms of Otherness: Covenant, Mission, and Relation to the Other in Rabbinic Perspective,” in Covenant and Hope: Christian and Jewish Reflections, eds. Robert W. Jenson and Eugene B. Korn (Grand Rapids: Eerdmans, 2012), 81. Gerald McDermott, “Covenant, Mission, and Relating to the Other” in Jenson and Korn, (Grand Rapids: Eerdmans, 2012), 20. Hak Joon Lee, Covenant and Communication: A Christian Moral Conversation with Jürgen Habermas (Lanham: University Press of America, 2006), 98. Daniel J. Elazar, Covenant and Polity in Biblical Israel, vol. 1 (New Brunswick: Transaction, 1995), 86. Xiaowei Lei, Hong Zou, Yan Liu and Qing Zhou, “The Relationships of Family Socioeconomic Status, Parent-Adolescent Conflict, and Filial Piety to Adolescents’ Family Functioning in Mainland China,” Journal of Family Studies 23 (2014), 30. Lee, Covenant and Communication, 81. Rothenberg, in Jenson and Korn, 83. Augustine of Hippo, Confessions, Book IV. 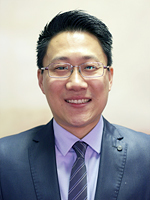 Reverend Choon Gil Yang of Pilgrim Church in Paramus, New Jersey. See “A Declaration against Transfer Growth by a Large Church Pastor in New Jersey (my translation),” http://kr.christianitydaily.com/articles/82408/20150316/뉴저지-대형교회-목회자의-수평이동-금지선언.htm?r=ny. Pew Research Center, “Second Generation Asian Americans: A Portrait of the Adult Children of Immigrants,” Pew Research Center Social & Demographic Trends, http://www.pewsocialtrends.org/2013/02/07/second-generation-americans/ (accessed April 4, 2015). While this research discusses the overall Asian American rather than specifically Korean American trend, the Korea Daily has recently released a chart of first and second generation makeup that reflects the same trend.